Our Balsam bashing team worked hard today to rid the River Sheaf of the invasive Himalayan Balsam! Well done, guys! Monday 29th July – 1000 Café – Bring Gloves – We need to pick it now before the seeds burst! Balsam along the margins of the river through the park again this year. After a blitz 2 years ago there was far less last year and we managed to keep on top of it without help. I suspect that this “crop” was washed down from further up with the flooding this year. I have arranged for the Rangers and Ziggy (environmental Officer) to help on Monday 29th July to help. I would be grateful if you could join us. We will meet at 10 am at the cafe. We may need to work over lunch so bring sustenance if required. I will supply coffee and biscuits. We hope to litter pick the river and margins at the same time depending on time and numbers so if you have waterproof footwear all the better. Hope to see you if you can make it. 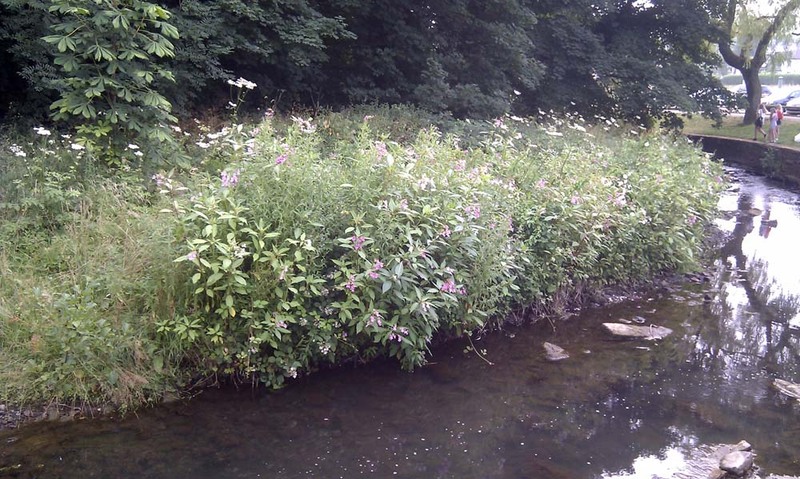 Come along on the 1st July from 1000-1200 to help the Sheffield Ranger Service eradicate the Himalayan Balsam growing along our river banks! 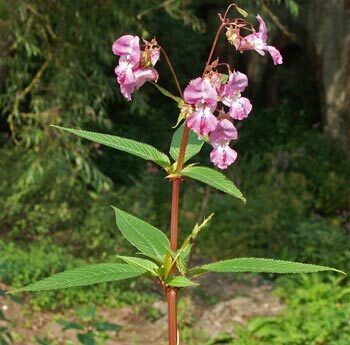 Himalayan Balsam is an introduced plant which has escaped from gardens and is rapidly colonising river banks and other areas of damp ground. It is an annual plant which grows to about 2m with purplish-pink slipper shaped flowers in June to August. When seed pods are mature, they explode when touched, scattering the seed. It forms dense stands which suppresses the growth of grasses and native British plants leaving the banks bare of vegetation in Autumn and winter liable to erosion. Because Himalayan Balsam re-grows annually from seed, any form of control carried out after the seed pods have formed will have no effect. Small infestations can be controlled by hand by pulling as the plant is shallow rooted. The seedbank lasts 18 months, so two years control should eradicate the plant. This is our 2nd Year! New Family in the Park! As if we didn’t know Millhouses Park is great for families. The family in question are the moorhens. Why not come along to the Crayfish Workshop 19th July ? We are doing a Spring Clean of the riverbank in Millhouses Park as park of Sheffield’s Environment Week. Come and join us in your wellies – bring a picnic, have fun and help to clean up the River Sheaf in Millhouses Park. Litter pickers, gloves and sacks will be provided. MEET AT THE CAFÉ AT 10.00A.M. OR BY THE RIVER IF YOU ARRIVE LATER. Stay as long or as little as you are able.